Laura’s influences come from love stories, beauty and romance, her gorgeous wedding dresses are made with silks, lace and brocades adorned with hand inked and photographic prints. She has designed both wedding gowns and separates The collections feature both gowns and separates designed and created in East London. Recently described as ‘one of the most exciting young designers to have emerged into British bridal fashion of late’ by Annabel of award winning blog Love My Dress, and gaining support from the likes of Rock My Wedding & Stylist Magazine, designer Laura is continuing to develop one-off pieces with brides looking for something a little bit different, yet still beautiful and elegant. 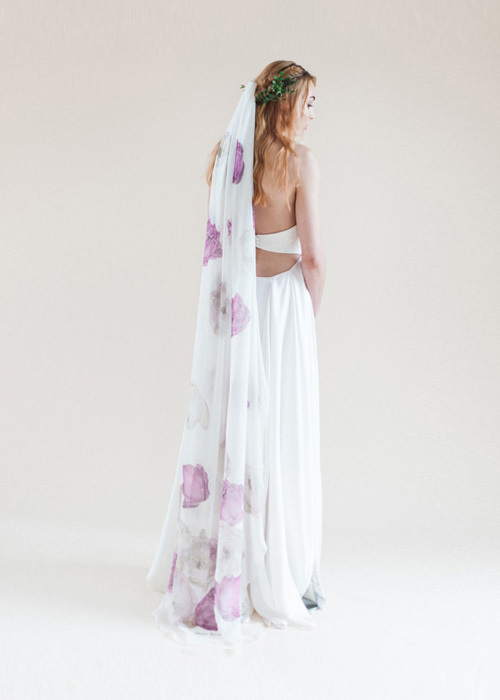 This beautiful lotus flowers digitally printed silk chiffon veil adds a twinkle of colour to one of her delightfully feminine wedding dresses giving the bride an opportunity to make the dress her own. 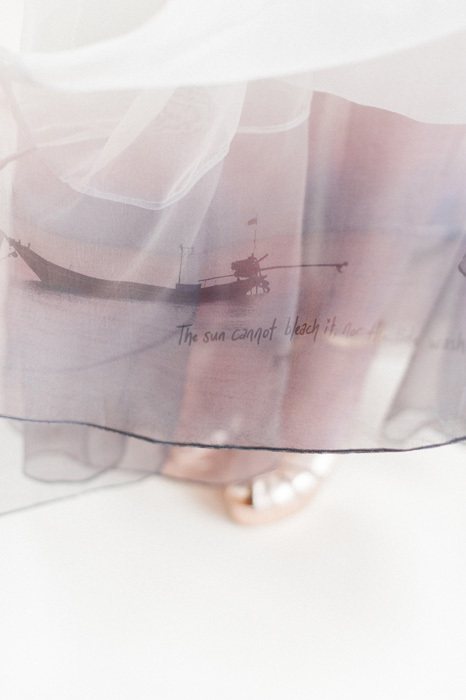 The digitally printed hem panel features a bright but dreamy sunset over the gulf of Thailand and a subtle fishing boat silhouette giving a romantic, whimsical vibe. Silk brocade bodice and silk organza skirt gives the Esha Gown an almost separates look. 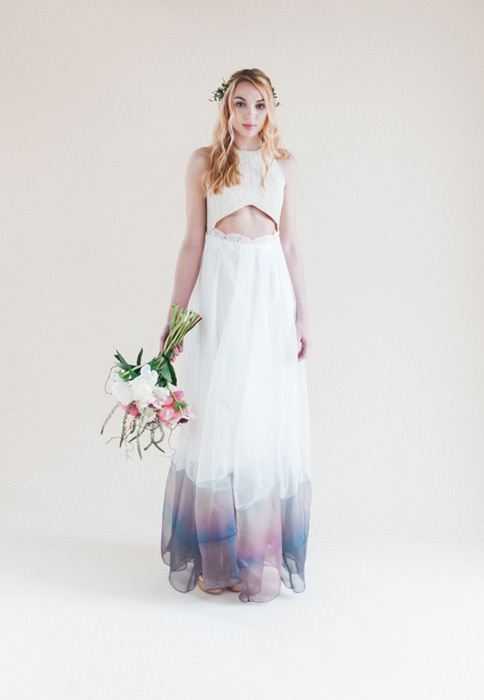 For more stunningly romantic and feminine alternatives to the traditional look hop over to www.loriex.co.uk you won’t be disappointed we love this look and perfect for a boho vibe! Love this piece! Very beautiful dresses. Thank you for your support and yes this wedding dress designer is amazing! !